Harlingen firefighter Steve Millon applied the Heimlich maneuver to save a boy's life at South Padre Island restaurant. 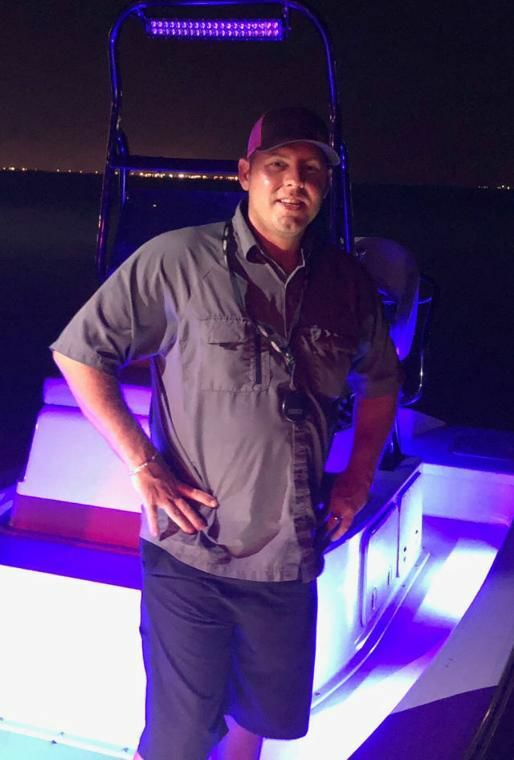 SOUTH PADRE ISLAND — Harlingen firefighter Steve Millon was enjoying dinner on the Island Friday night with his family and friends at The Palms Café on the Beach. Everything was fine until he noticed a potentially deadly situation was taking place. A young man was choking on his food. The café called 911 immediately and two bystanders had already unsuccessfully performed the Heimlich maneuver on the young man. Steve noticed the boy’s father patting him on the back trying to help his son. However, he soon realized the whole situation had escalated fairly quickly and he needed to act fast. Steve performed the Heimlich maneuver several more times. Still nothing happened. The young man began losing consciousness, collapsed and fell to the floor. “The kid probably weighed 160 or 170 pounds,” Steve said. “I mean, you’re not going to be able to hold that dead weight up. Steve performed the Heimlich maneuver about two more times. Finally the teenager’s food was successfully dislodged from his throat. “He started breathing again, drank some water, sat down and composed himself. I pretty much just patted him on the back and left him be,” Steve said. Bystanders cheered for joy and applauded once the boy regained consciousness. The Palms Café on the Beach manager Katherine Nowak was not there at the time of the incident, but said it was described as “a scary few minutes.” She is thankful the young boy is ok. The Harlingen Fire Department and several other members of the community have taken to Facebook to congratulate Steve for his heroic efforts. His wife Kristen Galbreath Millon posted this statement in a Facebook post. “He’s a hero at home, he’s a hero at work, he’s a hero off duty and he’s MY HERO 24/7! I’m so proud of you Steve Millon, you saved a life last night and although you save lives all the time, and it may not seem like a big deal to you, if you would have not been there, the teenage boy choking at dinner may have not made it to be alive today,” she posted. Neither the restaurant nor Steve knows the name of the young man’s family, but the heroic firefighter is trying to find out. “You have to get the complacency out of your mind. You have to realize that these things do happen everyday. Hopefully, there’s somebody around that knows what they’re doing and can help you. If we weren’t there you never know what could have happened,” Steve said.